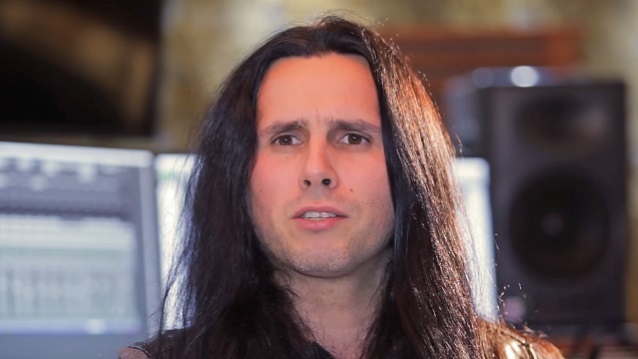 Greek guitar virtuoso Gus G., who joined Ozzy Osbourne's band just under a decade ago, says that "it was a little bit of a relief" to find out that the BLACK SABBATH singer was getting back together with his longtime axeman Zakk Wylde. It was announced last April that Wylde would be rejoining Ozzy's backing group for all his upcoming solo show dates. Osbourne's touring lineup also includes Rob "Blasko" Nicholson on bass, Tommy Clufetos on drums and Adam Wakeman on keyboards. Gus, who played on Ozzy's latest studio album, 2010's "Scream", said in a new interview with TrueMetal.it that he wasn't upset when he found out that Ozzy was going to be working with Zakk again. "Honestly, it was a little bit of a relief, because I was just kind of tired of waiting around for all these years, not hearing anything" about potential tours or recording activities, Gus said. "Of course, [Ozzy] was very busy with BLACK SABBATH — I understand that — but then in between of all that, there would be all these one-off [solo Ozzy] shows popping up and I had to make myself available for that. But there was never any… I felt like there was no… I didn't see stuff coming up for the future, you know? So, as much as I loved being in that band and working with him, in a way, it was a little bit of a dead end for me, speaking personally. Of course, now he's gonna go on a big tour again and do his farewell thing, and that's great for him, but it was not a creative thing for me." According to Gus, part of his frustration stemmed from the fact that he wasn't told far in advance when his services would be needed by Ozzy, making it difficult for the guitarist to make long-term plans with any of his other projects. "There was never any definite announcement, like, 'Hey, guys, we're gonna see you next year' or something; it was always, like, 'We'll see what happens,'" he said. "So that's a bit of an uncertainty right there, and, of course, I had my own band [and] I had stuff to do, but I could never really book stuff too far ahead into the future just in case something [with Ozzy] came up. So it was really hard to get some info at some points… Anyways, you know, that's how it is; that was the situation. So, yeah, in a way, like I said, it was a relief, because now I can totally control what I'm gonna be doing, and that's a much nicer feeling." Gus also confirmed that some of the musical ideas on his latest solo album, "Fearless", including the track "Mr. Manson", were originally set aside for a possible Ozzy collaboration. "The original idea [for 'Mr. Manson'] was, yeah, to give it to Ozzy," he said. "I had the main riff, which was very SABBATH, very 'N.I.B.' style… Yeah, I wrote it originally with the intention of showing it to him, but, obviously, nothing came out of that. So I had this and a couple of other riffs, actually, on my hard drive for years, just sitting there, and I sent it to Dennis [Ward] and I said, 'Hey, listen, this is what happened. I have this.' And I think he was just inspired by that, and he wrote the lyrics for 'Mr. Manson'." On "Fearless", Gus is joined by vocalist/bassist Dennis Ward (PINK CREAM 69, UNISONIC) and drummer Will Hunt (EVANESCENCE). 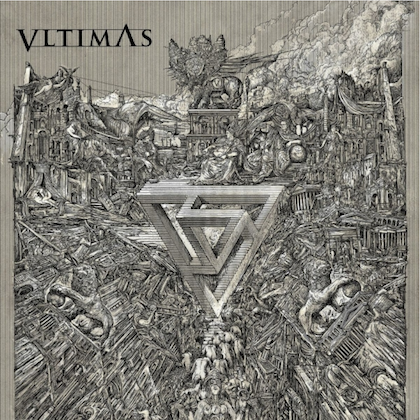 The disc was released on April 20 via AFM Records. The follow-up to 2015's "Brand New Revolution" marks Gus's first release since exiting Osbourne's band in 2017. Wylde originally joined Osbourne's band three decades ago and backed the legendary frontman from 1987 to 1995, then again in 1998, from 2001 to 2004 and also from 2006 to 2009.